Sleep apnea is a serious and potentially deadly sleep disorder that can undermine your health and leave you feeling exhausted and drained. If you have been diagnosed, our Pasadena sleep apnea treatment provider can help. We offer sleep apnea treatments for people who suffer from the condition and will work with you to ensure that you can get the relief you need. You may be at a higher risk of suffering from sleep apnea if you are overweight, have a recessed chin or small jaw, have a large neck, smoke, have a history of heavy alcohol use, are over 40, or have a family history of the condition. Symptoms include heavy or loud snoring, gasping or choking for breath while asleep, frequent waking, daytime drowsiness, insomnia, morning headaches, or waking up with a sore throat or dry mouth. Our expert in sleep apnea treatment in Pasadena can help you determine if you need further evaluation and recommend the best treatment plan to address your symptoms. Untreated sleep apnea can lead to more severe health problems. You may be at a higher risk of sexual dysfunction, difficulty concentrating, irritability, depression, obesity, cardiac arrhythmia, high blood pressure, stroke, or heart attack. Treatment can alleviate your sleep apnea symptoms, improve your sleep, normalize your blood oxygen levels and help you enjoy better overall health. A sleep study may be needed for an accurate diagnosis and to determine if you have any other sleep problems. Our Pasadena sleep apnea treatment provider will then identify the best treatment options to ease your apnea. An oral appliance is an effective first-line solution for many patients with mild to moderate sleep apnea and may also be a good choice for patients with more severe sleep apnea or who are unable to tolerate CPAP therapy. 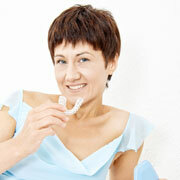 An oral appliance is custom-fit to your mouth and can be designed to address your specific needs. It helps keep your airways open without any uncomfortable tubing or drying air. Contact us today to learn more about available sleep apnea treatments or to schedule an appointment with our expert in sleep apnea treatment in Pasadena.